NEW ORLEANS - The Appalachian State Mountaineers and Arkansas State Red Wolves are the favorites to win the 2018 Sun Belt Conference Football East and West Divisions, respectively, as voted on by the league’s 10 head coaches. The Sun Belt released the preseason poll Thursday in advance of the Sun Belt’s annual media day that begins Sunday, July 22. For the first time in the league's 18-year history, the Sun Belt will move to a Divisional format to determine a champion. December 1, 2018, will be the first Championship Game in league history and will be played at the site of the divisional team with the best overall conference winning percentage. 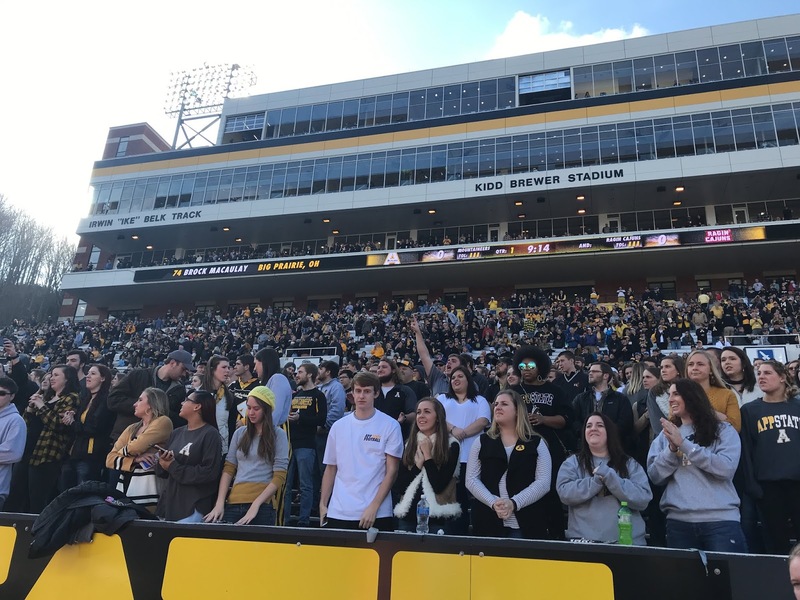 The head football coaches chose Appalachian State (East) and Arkansas State (West) as the favorites to represent the league in its inaugural Championship. Additionally, Arkansas State was picked as the overall favorite to win the Championship title in a vote that included selected members of the media, along with the 10 football head coaches. Arkansas State heads into the 2018 season looking to return to form and claim the West Division and Overall Champion titles. A-State brings back 12 starters (seven offense; five defense), including 2017 Offensive Player of the Year, Justice Hansen, who accounted for 44 touchdowns of A-State's 59. The Red Wolves went 6-2 in Sun Belt play a season ago, leading the league in scoring (37.8 ppg) and total offense (495.3 ypg). Blake Anderson is in his fifth year as the Red Wolves head coach, has compiled a 31-25 record, and has led the team to four consecutive bowl games. Appalachian State was picked to win the East Division, and did so by the slimmest of margins. The Mountaineers edged out Troy by two points in the voting. App State and Troy shared the Sun Belt regular season title last year. The Mountaineers posted a 7-1 record in league play and a 9-4 overall record. The Mountaineers won the 2017 Dollar General Bowl, blowing out Mid-American Conference Champion Toledo, 34-0, for its third consecutive bowl win. Head Coach Scott Satterfield enters his sixth year at the helm of the Mountaineers and is 41-22 in Boone. The Mountaineers return 11 starters in 2018 (six offense; five defense). Key returnees for the Mountaineers are senior running back, Jalin Moore, and junior defensive back, Clifton Duck. Moore was part of a rushing attack that led the Sun Belt (223.6) and was second in touchdowns on the ground (27). Duck helped lead the Mountaineers pass defense to 18 interceptions while allowing a league-low 205.1 yards through the air. The App State defense was also second in scoring, giving up only 20.2 points per game in 2017. The Red Wolves earned nine first-place votes in the West Division, earning 49 points. ULM was picked to finished second in the West with 37 points, while South Alabama was picked to finish third with 26 points, earning the final first-place vote. App State garnered six first-place votes in the East Division, finishing with 46 points. Troy was tabbed second with 44 points and four first-place votes while Georgia State was picked to finish third with 26 points.